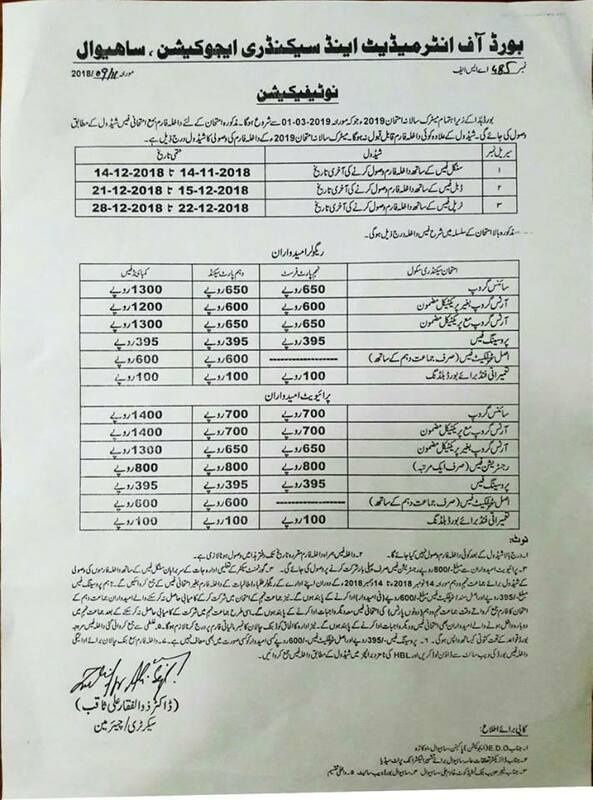 Board of Intermediate & Secondary Education Sahiwal has the authority to conduct annual and supply exams of SSC and HSSC classes in the district of Sahiwal and its nearby districts. 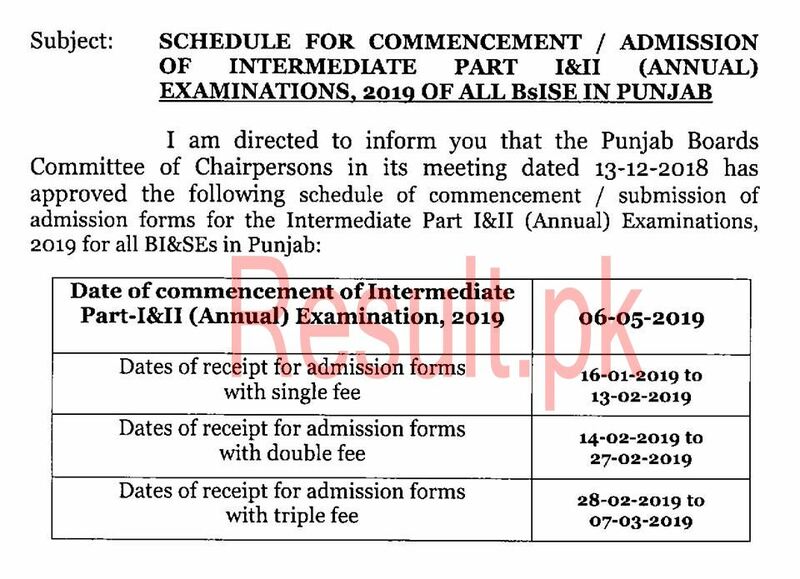 Every year, the matric and intermediate annual exams are conducted by Sahiwal Board according to a regular schedule while thousands of regular and private candidates appear in these exams. Written and practical papers of 9th and 10th class are held during the months of March and April respectively while May and June are the months during which the written and practical papers respectively are organized for intermediate annual exams every year. The admission forms of SSC part 1 & 2 and HSSC part 1 & 2 can be submitted by the regular and private students around 1 month before the start of the annual exams. The admission forms of regular students are available from their respective institute while the private students can take the admission forms through the designated bank branches. The students have to fill the form completely, attach necessary documents, deposit admission fee and then submit the form before due date. The candidates can submit the forms with single fee, late fee or double fee according to the form submission schedule. Just few days after the submission of admission forms, the students receive their roll number slips, mailed by BISE Sahiwal. These roll number slips contain complete schedule, procedure and instructions about the exams. In case of any deficiency, the admission forms have to be completed and resubmitted by the candidates. can i apply for improvement paper of 1st year some subjects now? Want to get admission for intermediate.